Ingo Maurer - Design Illuminati? 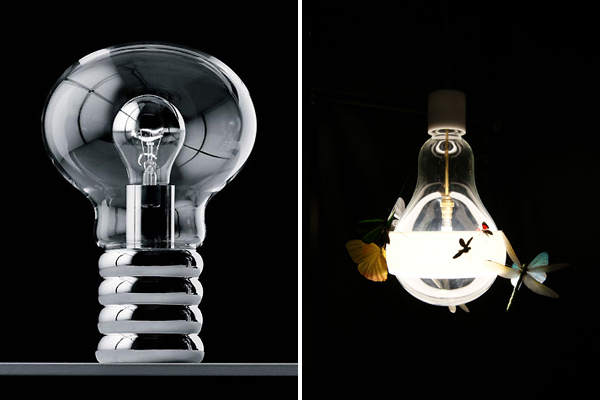 This month Design Hunter focuses on lighting. In the first of a series of posts on the subject Graham Powell looks at the work of lighting designer Ingo Maurer. Designer, artist, technician, poet and perhaps ‘magician’… Ingo Maurer has been a 'free radical' in the world of lighting design since the mid sixties. Born in Germany, emigrating to the USA and then returning to Munich to set up Studio M, Maurer has consistently wowed the design world with his experimental investigations in light - turning them into beautiful installations and accessible objects of desire. With his ‘Stripped to the Bone’ design philosophy and a healthy desire to challenge the limits of bourgeois middle class good taste (which he says is “so boring”), Maurer and his team represent “the other face of German design”. His projects have evolved through the decades alongside emerging new lighting technologies. Tungsten, Halogen, LED and more recently OLED have all been the focus of experimentation - to see what else might be possible in the world of lighting design. Maurer has also consistently exhibited in the same venue during the Salone Internazionale del Mobile in Milan for many years, each time revealing a new concept, installation or soon to be launched product. Having visited the showroom in 2000, 2003 and 2012 they were always one of the furniture fair’s must-see highlights for me. Ultimately we are all products of our time and indeed Maurer’s enthusiastic celebration of experimentation, popular culture and the readymade can be clearly traced back to his 1960s Pop culture beginnings. Pop, which itself was a re-appropriation of earlier twentieth century Dada (with perhaps a touch of surrealism thrown in), sought to challenge the establishment and its social expectations through a distortion of the everyday. Maurer’s 1966 Bulb is an obvious ally to the work of Claes Oldenburg or even Verner Panton, and more recent offerings continue to subvert the familiar and animate the inanimate. 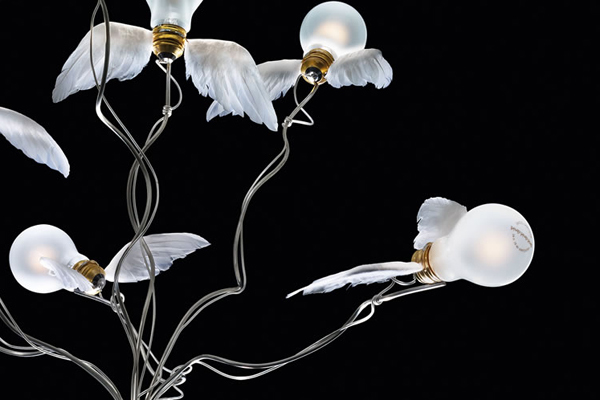 Perhaps his most famous design Lucelino, the winged lightbulb (also featured in Design Hunter's review of The Ampersand Hotel), epitomizes this spirit best, and is why it still excites the viewer 20 years on. More recent work clearly illustrates how Maurer remains a master of function, intrigue and poetry in lighting design, proving that it really is possible to combine the best of all three worlds. His creative imagination and childlike fascination of the ‘humble’ light cannot fail to rub off on all who come into contact with his work. Ingo Maurer then, remains a welcome ‘free radical’ in the fast moving design world of “who’s next?” - producing inspirational lighting for almost half a century. His challenging individualistic approach to his chosen medium, coupled with a back-catalogue of so many exciting experimental lighting designs, are qualities truly worthy of admiration. From my perspective Ingo Maurer is a true enlightened design visionary… pun of course intended… and hopefully appreciated! 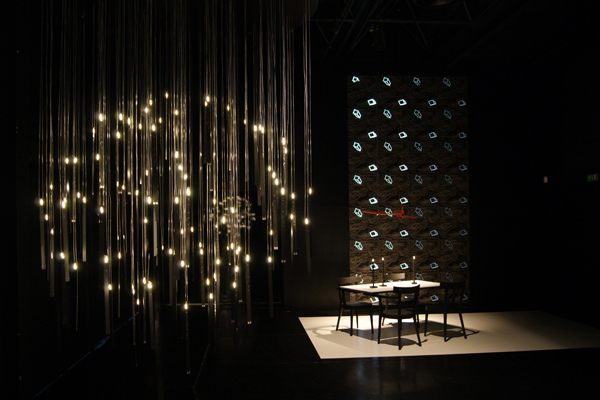 View more lighting in the Design Hunter Sourcebook. Read more posts by Graham.